The combination of high-risk elections and the burgeoning violence of terrorist groups could make 2015 a particularly turbulent year for African countries. But these threats to social stability and to the peace of the continent provide an opportunity for African leaders and activists to develop a long-term vision of how to address these issues and capitalise on progress. The 24th AU summit of Heads of State and Government took place last week, which was meant to herald the “Year of Women’s Empowerment and Development towards Africa’s Agenda 2063.” In the end, issues of peace and security became the top priority of the summit in Addis Ababa. Their decisions and actions for peace and security could send a strong signal of solidarity, decisiveness and resolution within and outside of Africa. Among the key decisions made in Addis were those that demonstrated African countries’ full solidarity in tackling terrorism and resolving civil conflicts. The AU’s Peace and Security Council agreed to seek a new multinational African force of 7,500 troops to stop Boko Haram from spreading across the region. 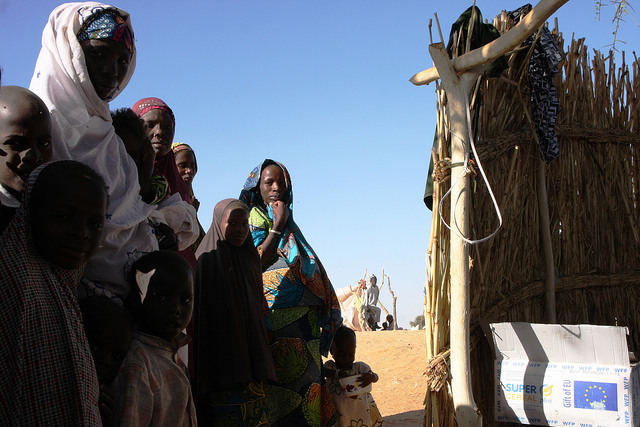 The Boko Haram insurgency in Nigeria has left 13,000 dead and displaced a million people. It has already become an imminent threat to Chad, Niger and Cameroon – which include some of the most underdeveloped and impoverished regions of Africa. The insurgency is a challenge both to security as well as social and economic development. Nigeria’s President Goodluck Jonathan did not address the AU summit preferring to stay in Nigeria for electioneering. In his absence, African leaders resolved to deploy the troops, and the question now is in what form will the Multinational Joint Task Force (MNJTF) fight Boko Haram and what weight can this intervention can carry and what support can it expect from Nigeria’s government. Will the troops be deployed under the auspices of the Lake Chad Basin Commission (LCBC) and Benin as proposed by the AU Summit? 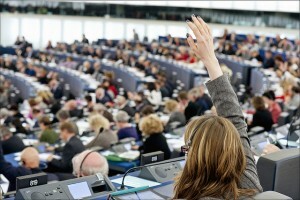 Will other options be put forward? What options could Nigeria bring to the table? President Mahama, Chair of the ECOWAS, has stressed his support for the position of the LCBC and Benin. The operational concept of the multinational task force will be finalised on the 5th to 7th of February in Yaoundé, Cameroon. For the AU, the deployment of a Multinational Joint Task Force is not only an opportunity to demonstrate solidarity but also its capacity in gentle diplomacy to foster coordination and cooperation between Nigeria, Cameroon, Niger and Chad – and each have different reasons for distrusting the other. 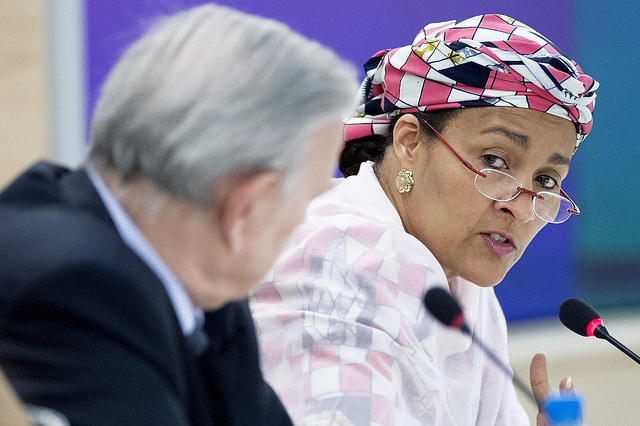 The AU summit had looming elections across the continent high on its agenda. Last year, the AU monitored 14 elections which were largely peaceful. 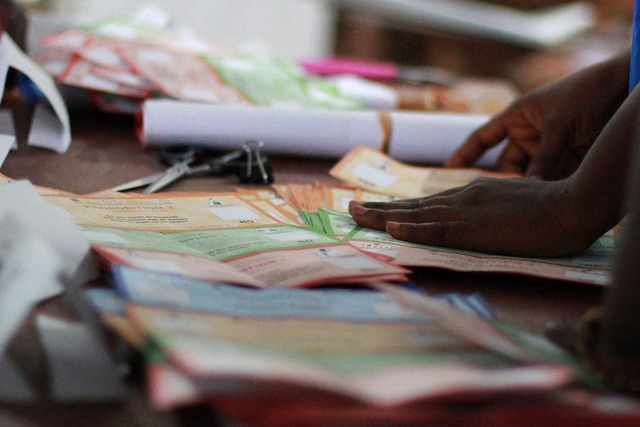 In 2015, there are 12 high-risk elections in countries like Nigeria, South Sudan, Togo, Burundi, Burkina Faso, Central African Republic, Ethiopia, and Sudan – among others. In several countries there is major concern about constitutional manipulation or flawed electoral processes. There is also the risk that elections will be deemed illegitimate by certain groups and this may lead to community violence. In Burundi, where the AU is said to be leading mediation efforts to address the situation ahead of the elections, President Nkurunziza has declared his intention to run for a third term in violation of the constitution, and there is already mounting violence. In Burkina Faso, it is unclear whether the military will unambiguously hand over power to a civilian government and refrain from interfering in the elections. Meanwhile, in Nigeria, half of those eligible to vote lack their voting cards and this only a few weeks ahead of polling between the 14th and 21st of February. Furthermore, the violence in the North East of Nigeria might mean that certain groups will be unable to genuinely participate in the elections, thus putting the legitimacy of whoever wins the elections in question. Despite the pressing threats of election violence, it was difficult to ascertain the AU’s decisions on elections during the summit. There have been hints that the AU is undertaking quiet diplomacy to mitigate the risks of elections in Togo and Burundi. The AU will also send election observers to Nigeria. However, some have expressed concerns at the apparent hesitation of the AU to openly condemn pre-election violence and hate-speech or to announce tougher sanctions for parties that attempt to jeopardise elections. Undoubtedly, the 24th AU Summit had to tackle a number of challenging and complex issues for Africa in the years and decades ahead. The challenges that will arise in 2015 will require dialogue and effective regional coordination. Although the AU has shown positive leadership in tackling terrorism and the Boko Haram insurgency, there are still imbalances in regional power and a variety of different approaches by different countries to addressing the issues. Effectively tackling terrorism will need concerted diplomatic negotiation and the assistance and cooperation of regional organisations. Is 2015 a Window of Opportunity for the African Union? The African Union has a real chance to edge closer towards its ambitions in peace, security and democratic governance by helping African countries mitigate the risks of election violence and the impact of conflicts on elections. These are a reminder of the urgent need to address some of the fundamental challenges identified by Agenda 2063 and its 10-year action plan that was approved at the Summit. The views expressed here are those of the authors and not necessarily those of ECDPM. 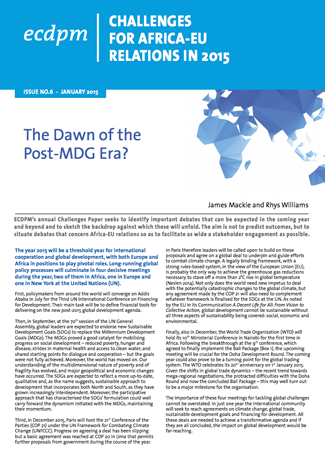 The dawn of the post-MDG era? 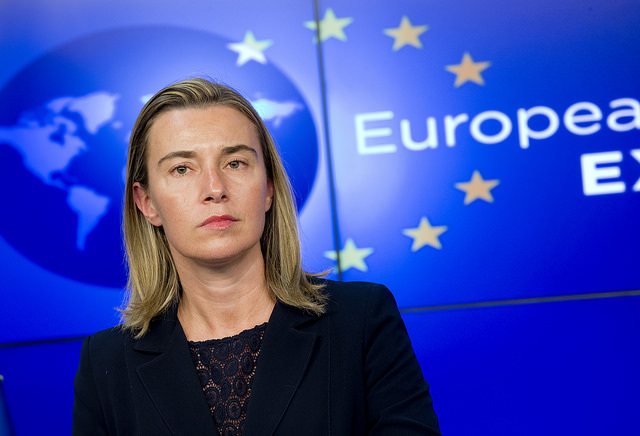 Is EU External Action up to the challenge of Boko Haram?